We regret to record the death of Mr James Gibson Hamilton Starke of Troqueer Holm, who passed away on Tuesday night. He had attained the age of 71, having been born on 9th February, 1837, and for the last two years he had been an invalid. The deceased gentleman was the son of Mr James Starke, judge in Ceylon, who on his retirement purchased the residential estate of Troqueer Holm at Dumfries; and his mother, who bore the rather singular maiden name of John Hamilton Gibson, was a daughter of Major James Gibson, of Edinburgh. 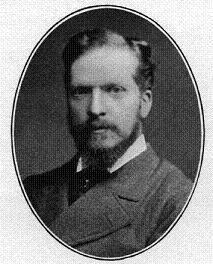 Mr Starke studied at Edinburgh University, where he graduated M.A. ; and, electing to follow his father's profession, he was called to the Scottish bar in 1862. One of the cases in which he was retained was the last in which the death sentence was passed in Dumfries, that of Robert Smith, whose defence he conducted at the Circuit Court in 1868. Mr Starke's fellow-members of the Faculty of Advocates showed the appreciation of his talents by appointing him their representative on the Edinburgh Road Board, and also convener of the Faculty's law committee. These offices he demitted when, in 1871, he received from the Crown a commission as a district judge in Jamaica. Returning to this country after some years of judicial duty in the West Indies, he did not pursue the practice of his profession, but gave himself up to a life of cultured leisure. For several periods during the illness of the late Sheriff Hope he acted as Sheriff Substitute at Dumfries; and as a Justice of the Peace both for Dumfriesshire and the Stewartry of Kirkcudbright he took a frequent part in the business of the criminal courts and also in the administration of the licensing law. He had a great liking for antquarian research and frequently contributed to the transactions of the Dumfries[shire] and Galloway Natural History and Antiquarian Society. A Liberal in politics, he was strongly opposed to Home-rule, and took part in the secession of 1886. But before and subsequent to that cleavage he was an occasional speaker on political platforms; and an address which he dlivered to the Dumfries Junior Liberal Association on county and parish government advocating a representative system such as has since been adopted, was published in pamphlet form. For a long period Mr Starke held the office of elder in the Parish Church of Troqueer. He was married to Miss Bloxham, grand-daughter of General Goldie of Goldielea, by whom he was predeceased seventeen years ago. The funeral, which is of a private nature, takes place to-day to Dumfries cemetry.